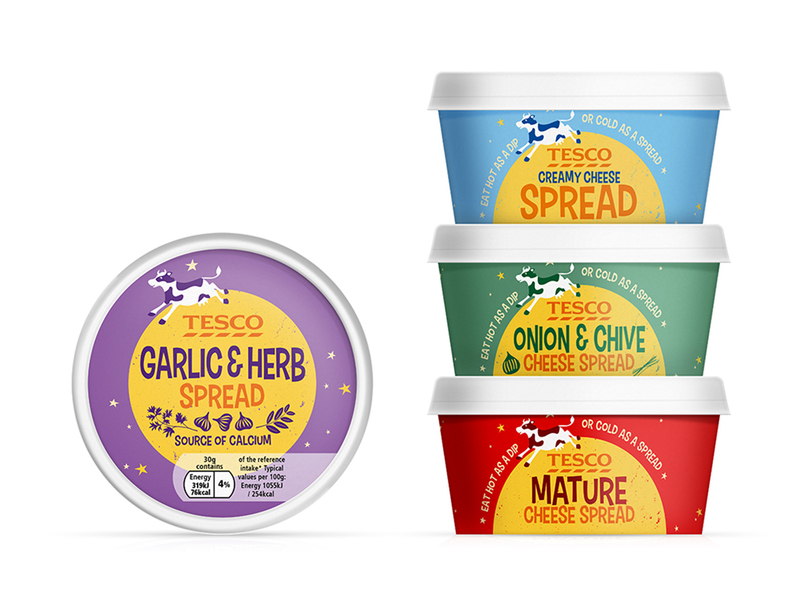 In a world (chiller aisle) dominated by either cows standing in fields chewing grass or those that are decapitated and laughing, Tesco asked us to provide a solution that stepped away from the green grass and landscapes that are familiar territory with these products without loosing the charm and appeal that such imagery has. 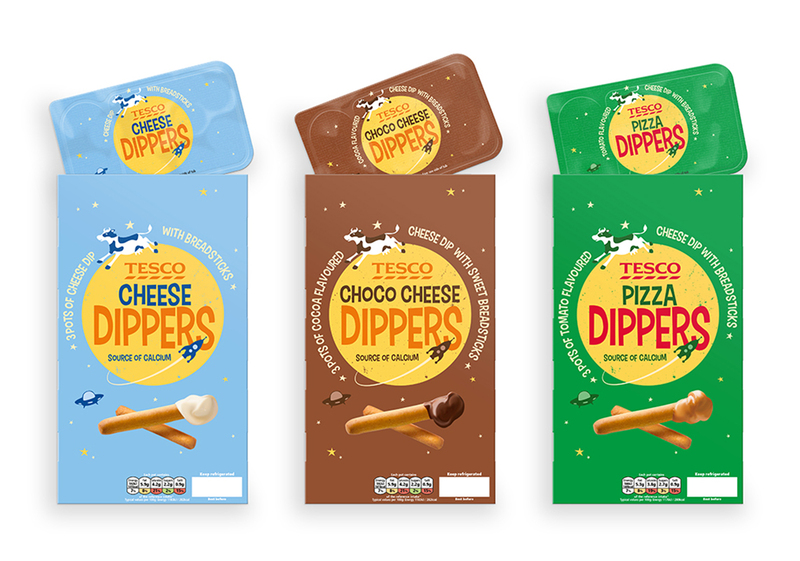 Not only did we want to challenge the norm, we wanted to come up with an idea that was simply out-of-this-world. 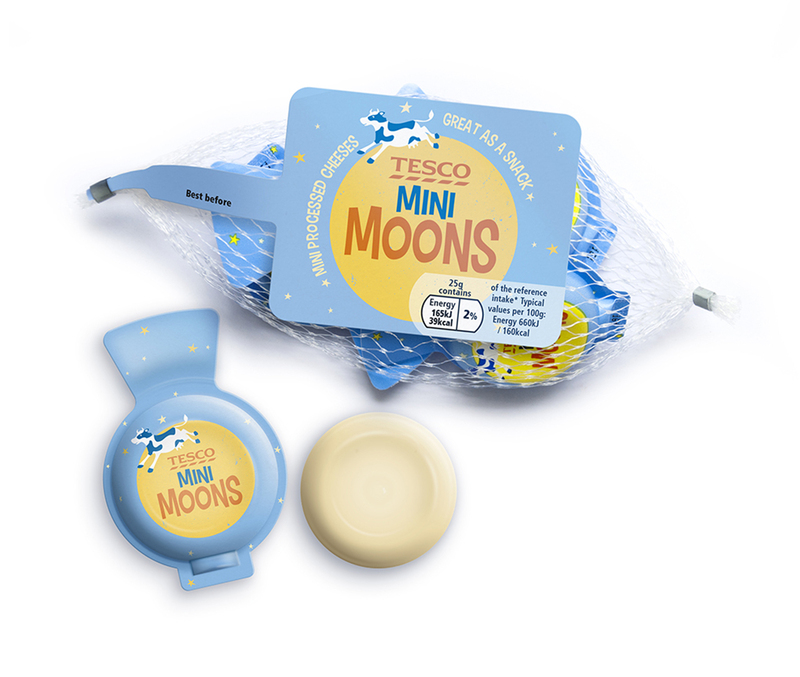 As we all know cows (according to the nursery rhyme) jump over the moon — which is widely acknowledged to be made of cheese. 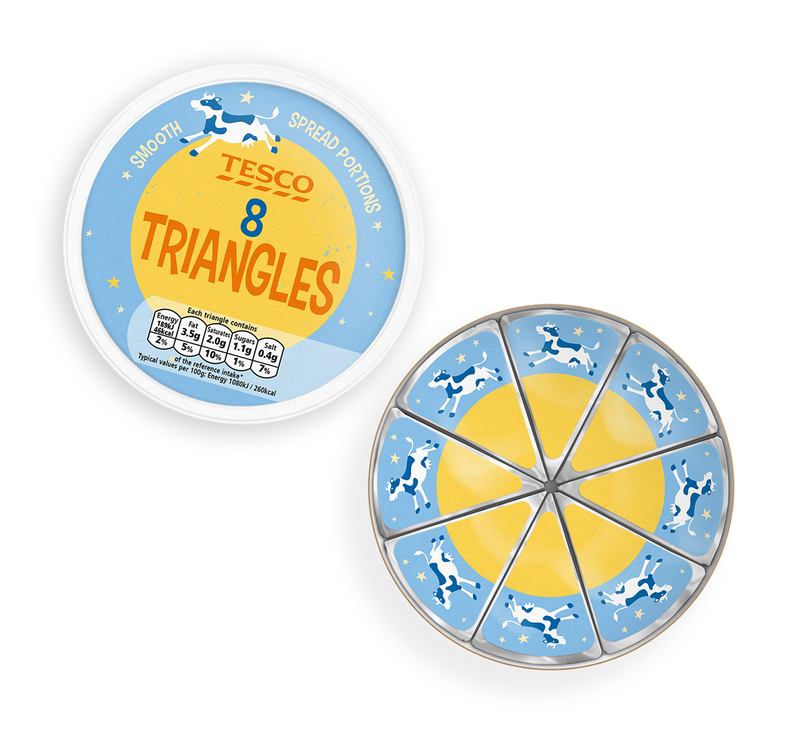 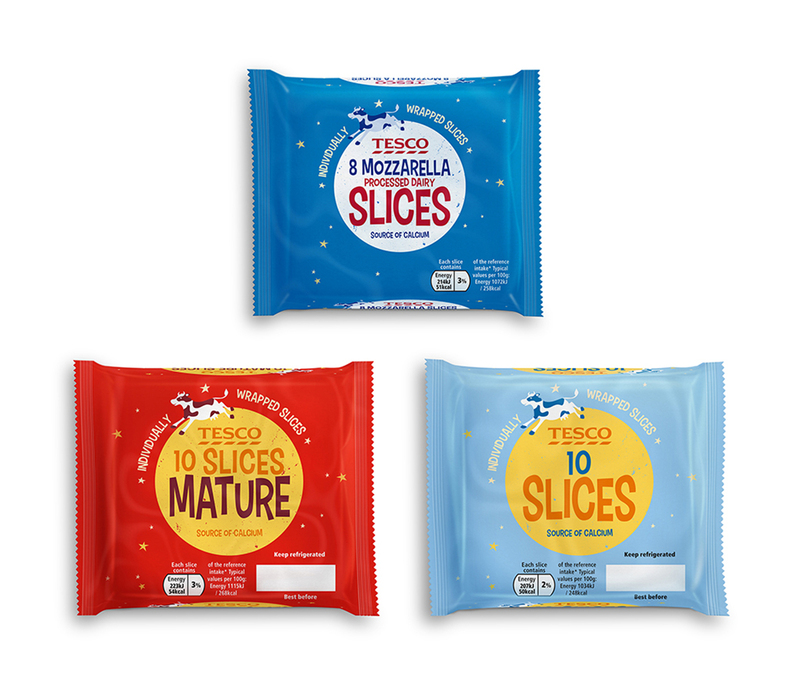 Armed with these ‘facts’ we provided Tesco with a fanciful range of soft cheese products that appeal to the young and the young at heart alike.